The 2014 TEFANZ Conference will be held at Wintec’s city campus from Wednesday the 8th of July until Friday the 10th of July, 2014. On behalf of the organising committee and the TEFANZ executive, I have great pleasure in inviting you to submit one or more abstracts (for oral or poster presentation) in accordance with the instructions below. 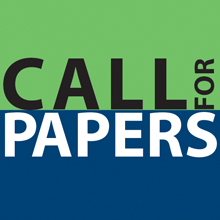 The Call for Papers closes on 13th December 2013. I would like to thank you in advance for your contribution to the 2014 TEFANZ Conference and look forward to receiving your abstract. Papers must be relevant to Initial Teacher Education across the early childhood, primary and secondary sectors. The preferential code is : CONF1Guests can also contact our reservations department direct via my email or the hotel telephone number. As long as we are informed that they are booking for the TEFANZ conference we can offer the agreed rates direct here at the hotel.